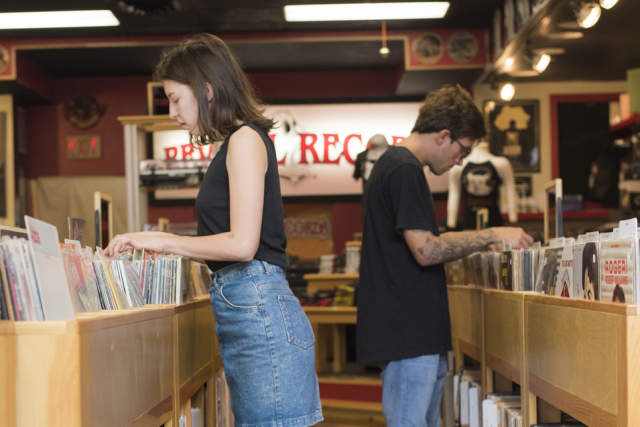 In Eau Claire, you can get a good workout just about any way imaginable. There are running clubs, traditional gyms, outdoor trails, boot camps, dance and yoga studios. But sometimes those options can be intimidating, or too reminiscent of some unpleasant phy ed experiences. Sometimes you just need something new and exciting that challenges you but is so much fun you can&apos;t wait until you can do it again, no matter how sore you are afterward. That something is Moonrise Aerials. 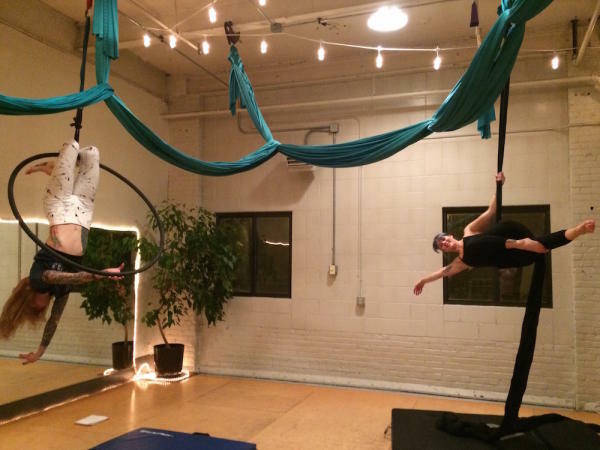 Opened in October of 2017, Moonrise Aerials provides "feminine empowerment through aerial yoga, circus fitness, and flow arts." 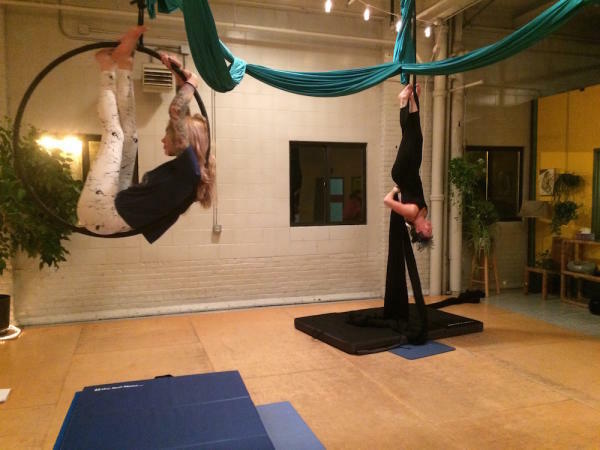 Classes include instruction in aerial silks, lyra (hoop), partner acrobatics, and aerial hammock yoga. I attended the monthly Intro to Aerials workshop. 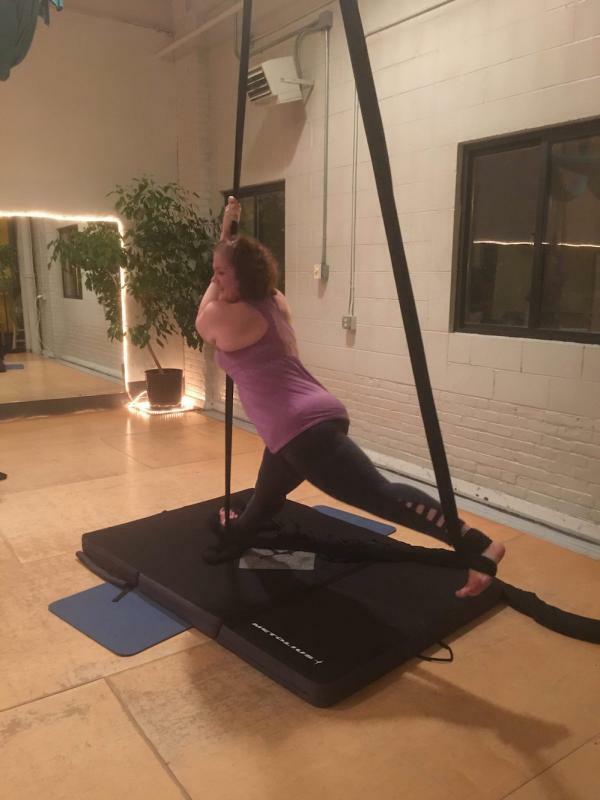 This class is a prerequisite to attending any of the open play times for the lyra and aerial silks, and a great way to see what it&apos;s all about. Led by co-owners (and Torch Sisters performance troupe members) Michelle Anthony and Rachel Duffenbach, this is class is held, as all of the Moonrise Aerials classes are, at their studio in Banbury Place. We began with some more traditional yoga stretches to warm up our shoulders, wrists, and core- all key to maneuvering on the lyre and silks. Once warm, our class split into two groups to learn and practice aerial skills. Michelle led us on the silks, Rachel on the lyre. They would show us a move, and then we attempted it at least once before switching as a group to the other apparatus. Each exercise built a bit on the one prior and grew in difficulty until, at the end of the class, each of us was able to curl ourselves into the lyre and complete a split in the aerial silks. This class is a full body workout! At first, it&apos;s a little frightening to think of hauling oneself up into a hoop several feet off the group without a step-ladder. Or to think of dangling upside down from the ceiling wrapped in silk. But Michelle and Rachel are fantastic teachers, patient, energetic, and incredibly encouraging. Like the Moonrise Aerials mission statement says, the experience was extremely empowering! Even while lacking in upper-body and core strength, with a little determination and help from the instructors, I was able to complete the moves. It&apos;s so much fun! Nobody took themselves too seriously, the whole group laughed at ourselves and cheered each other on. It&apos;s a positive environment where you can work your body from head to toe, feel beautiful and strong, and learn you&apos;re capable of much more physically than you ever thought you would be. For the complete class schedule, fees, and instructor bios, visit their website or check them out on Facebook and Instagram.